We live in a broken world, full of broken families and broken hearts, resulting in anger, depression and anxiety. When people come to see a family therapist, they want change but they want other members of the family to change, not them. How much pain do we have to go through before we are willing to do something different than we have always done before? Listen to Ron Huxley, Family Therapist, as he shares some insights on how to create love and honor in the home to have real, permanent change in the family. Despite a high level of documented mental health needs among children who have experienced foster care, research indicates that treatment outcomes are often disappointing. In order to improve outcomes, evidence-based treatments for attachment, trauma and behavioral difficulties are often promoted for this population. However, little research exists on whether or not those interventions effectively address the unique and complex mental health needs of many foster children. While a rather robust literature exists on foster children’s multifaceted difficulties, most treatments do not fully represent that range and complexity in their interventions. This article attempts to begin to fill that gap by outlining the knowledge and skills clinicians must acquire if they are to effectively treat foster children. Treatment of foster children should be seen as a subspecialty within the field of child mental health, and trainings that help clinicians gain more knowledge of foster children’s unique needs should be more available. Finding safe, permanent homes for children in foster care – usually through adoption when they cannot return to their families of origin – has become a federal mandate and a national priority during the past few decades. That’s obviously a very good thing, but there’s a too-little-discussed downside to this positive trend: Far too little attention is being paid to serving children after placement to ensure that they can grow up successfully in their new families and so that their parents can successfully raise them to adulthood. Notice the use of the word “successfully” twice in the last paragraph. 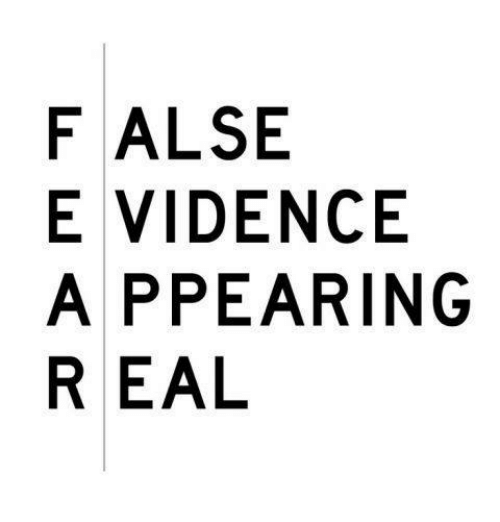 It’s the key. It’s also the founding principle of a new organization I’m proud to lead, the National Center on Adoption and Permanency (NCAP). Our mission is to move policy and practice in the U.S. beyond their current concentration on child placement to a model in which enabling families of all kinds to succeed – through education, training and support services – becomes the bottom-line objective. Along with fellow NCAP team members, I’ll be writing more about our organization and its goals in subsequent commentaries. For now, please check out our website and know we are already at work around the country. Furthermore, I’m delighted to announce that we’re entering into an exciting new partnership designed to significantly enhance our efforts; it is with the American Institutes for Research, one of the world’s largest behavioral and social science research and evaluation organizations. In addition, we are partnering with the Chronicle for Social Change, which like NCAP is dedicated to improving the lives of children, youth and families. Because of the traumatic experiences most children in foster care have endured, a substantial proportion of them have ongoing adjustment issues, some of which can intensify as they age. And many if not most girls and boys being adopted from institutions in other countries today have had comparable experiences that pose risks for their healthy development. Preparing and supporting adoptive and guardianship families before and after placement not only helps to preserve and stabilize at-risk situations, but also offers children and families the best opportunity for success. Furthermore, such adoptions not only benefit children, but also result in reduced financial and social costs to child welfare systems, governments and communities. A continuum of Adoption Support and Preservation (ASAP) services is needed to address the informational, therapeutic and other needs of these children and their families. The overall body of adoption-related research is clear on this count: Those who receive such services show more positive results, and those with unmet service needs are linked with poorer outcomes. Our nation has made a concerted effort to move children into adoption and other forms of permanency because, from research and experience, we understand their value for girls and boys who cannot remain in their original homes, a value rooted in the belief that all of them – of every age – need and deserve nurturing families to promote optimal development and emotional security throughout their lives. Indeed, while child welfare systems in many states are still experiencing a variety of problems, it’s also the case that a combination of federal funding and other resources has made a significant difference – that is, they have contributed to a huge increase in the number of children moving from insecurity into permanency over the last few decades, from about 211,000 in FY 1988-1997 (an average of 21,000 annually) to 524,496 in the 10-year period ending in FY2012 (over 52,000 annually). Furthermore, an analysis conducted by the Donaldson Adoption Institute indicates that, as a nation, we have made some progress in developing ASAP services, particularly in 17 states rated as having “substantial” programs. At least 13 states, however, have almost no specialized ASAP programs, and even the most developed of them often serve only a segment of children with significant needs. For example, many of the specialized therapeutic services have limits in duration or frequency or serve only children with special needs adopted from foster care in their own states, and some serve only those at imminent risk of placement outside their homes. To enable families to succeed, ASAP services must become an integral, essential part of adoption. Just as the complex process of treating an ongoing health issue requires continuing care, as well as specialists who understand the complications that can arise and how to best address them, the adoption of a child with complex special needs requires specific services and trained professionals to address the challenges that arise over time. When families struggle to address the consequences of children’s early adversity, they should be able to receive – as a matter of course integral to the adoption process, and not as an “add-on” that can be subtracted – services that meet their needs and sustain them. Adoptive families, professionals, state and federal governments, and we as a society share an obligation to provide the necessary supports to truly achieve permanency, safety and well-being for the girls and boys whom we remove from their original homes. Given the profound changes that have taken place in the field today, especially the reality that most adoptions in the U.S. are of children from foster care with some level of special needs, permanency for them should focus on more than just sustaining their original families when possible or finding new ones when necessary. We must also provide the resources and supports that will allow them to – here’s that word again – succeed. “I don’t believe anymore in coping, suffering, or managing our pain. I believe in overcoming, restoring, and wholeness. It is time for traditional mental health to raise the bar on our expectations for ourselves and our families. No one wants to be a limping, functional person when they can be completely healthy and happy. I am currently on my own journey now, exploring how to make this a reality. Contact me for more information and/or set up a consultation time to start the road to a real life." Today, tens of millions of Americans are living with the burden of a mental health problem. They shoulder conditions like depression and anxiety, post-traumatic stress and bipolar disorder – debilitating illnesses that can strain every part of a person’s life. And even though help is out there, less than half of children and adults with diagnosable mental health problems receive treatment. During National Mental Health Awareness Month, we shine a light on these issues, stand with men and women in need, and redouble our efforts to address mental health problems in America. For many, getting help starts with a conversation. People who believe they may be suffering from a mental health condition should talk about it with someone they trust and consult a health care provider. As a Nation, it is up to all of us to know the signs of mental health issues and lend a hand to those who are struggling. Shame and stigma too often leave people feeling like there is no place to turn. We need to make sure they know that asking for help is not a sign of weakness – it is a sign of strength. To find treatment services nearby, call 1-800-662-HELP. The National Suicide Prevention Lifeline offers immediate assistance for all Americans, including service members and veterans, at 1-800-273-TALK. Our commitment cannot end there. We must ensure people have access to the care they need – which is why the Affordable Care Act will expand mental health and substance use disorder benefits and Federal parity protections for 62 million Americans. For the first time, the health care law will prevent insurers from denying coverage because of a pre-existing condition. The Act already requires new health plans to cover recommended preventive services like depression screening and behavioral assessments for children at no extra cost to patients. My Administration will keep building on those achievements. Earlier this year, I was proud to launch the BRAIN Initiative – a new partnership between government, scientists, and leaders in the private sector to invest in research that could unlock new treatments for mental illness and drive growth throughout our economy. We have made unprecedented commitments to improving mental health care for veterans suffering from traumatic brain injury and post-traumatic stress disorder. And we have proposed new funding for mental health programs that will help teachers and other adults recognize the signs of mental illness in children, improve mental health outcomes for young people, and train 5,000 more mental health professionals to serve our youth. Mental health problems remain a serious public health concern, but together, our Nation is making progress. This month, I encourage all Americans to advance this important work by raising awareness about mental health and lending strength to all who need it. 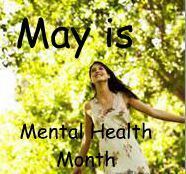 NOW, THEREFORE, I, BARACK OBAMA, President of the United States of America, by virtue of the authority vested in me by the Constitution and the laws of the United States, do hereby proclaim May 2013 as National Mental Health Awareness Month. I call upon citizens, government agencies, organizations, health care providers, and research institutions to raise mental health awareness and continue helping Americans live longer, healthier lives. 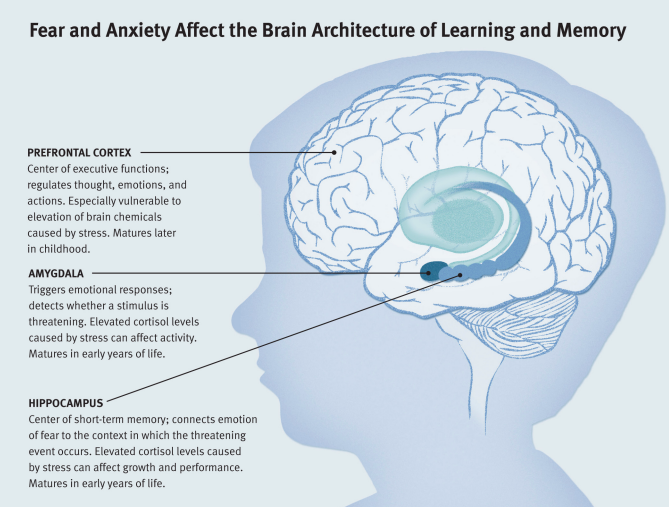 As a result of a groundbreaking new study, researchers conclude that ADHD should no longer be viewed as a disorder primarily affecting the behavior and learning of children, but as a major health condition with lifelong implications and need for effective treatment. Ron remarks: It’s about time!! !